When folks set out to declutter, they often worry about no longer keeping their things. Professionals in the organizing and psychology fields realize it is often not about the stuff but rather the feelings you get when you see the stuff. The emotional attachment we have with the memories or feelings associated with the stuff. I have found that people are more successful, productive, happier and more financially stable when they free up their physical space and can do more with less. Start with organizing the area that bothers you most. Think about the area that keeps you up at night. The area that is the last thing you think about before falling asleep and the first thing that you think about upon waking. Start there. By creating a system, a home for those things for easy access, ease in putting away and retrieving, by seeing success organizing that area, you open yourself up for a clearer mind. You feel a weight lifted off your back. You open up mindspace for greater enjoyment of life and create the inertia to continue decluttering other areas. I saw this quote on Pinterest and think it is perfect. This is why I offer services to help people unclutter their spaces. I’d be lying if I didn’t get joy of seeing a clients desk free of clutter for the first time or actually being able to see the color of the floor covering. The reason I wake up and get dressed in the morning is not to see clutter-free desks, countertops, or floors but for the satisfaction I receive by knowing my assistance in eliminating or reducing other’s clutter has helped others open their mind and spirit. I receive joy from knowing my services have helped clients find time for them in their day, find time to spend doing the things that make them happy, find time to smile and take a deep breath without worry that things are getting lost, misplaced or falling apart. I love what I do. I love the feeling I have when leaving a client appointment. There are few other things that I could do that would leave me and my clients with a high level satisfaction in their life. Look around the room. 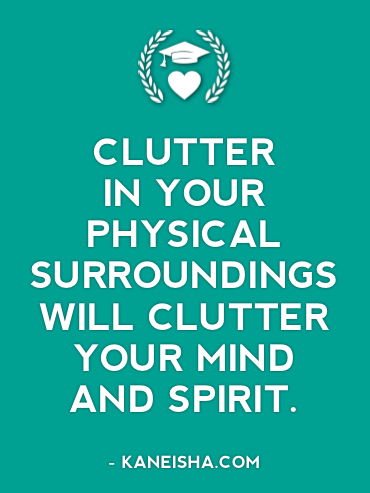 What types of things are cluttering your surroundings? Set the timer for 15 minutes and grab any unnecessary things that are taking up space in your surroundings and your mind. Let me know how it goes. Tagged: clutterclutter-freeDCdeclutterhome officeKim OserkitchenOrganizingProductivityprofessional organizingsimplifyStressstuffunclutterWashingtonWashington D.C.